Highly recommended for club players and serious social players! 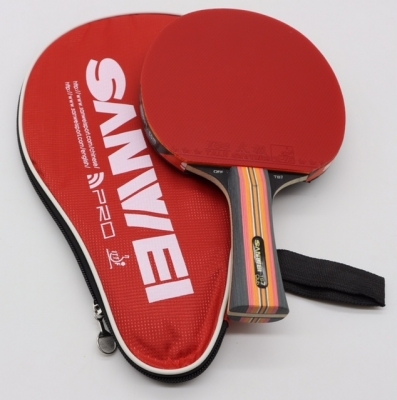 Bat is made up of Sanwei T88 Semi Tacky Taiji T88 Table Tennis Rubbers. 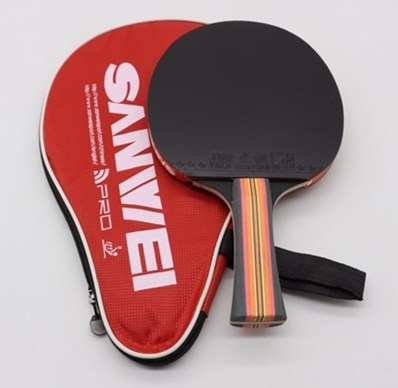 Red rubber is fast and spiny for F/hand attack and the Black rubber is slightly slower with increased control for B/hand play. 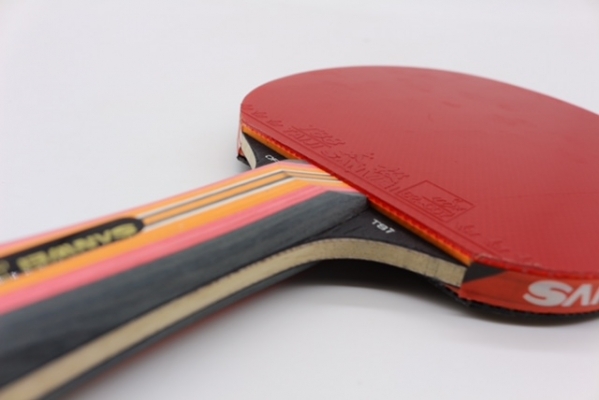 Rubbers are ITTF approved. The TS7 blade is a high quality 5 ply blade made up of Black Ayous outer surface, Spruce Inner layer, and Ayous Core. 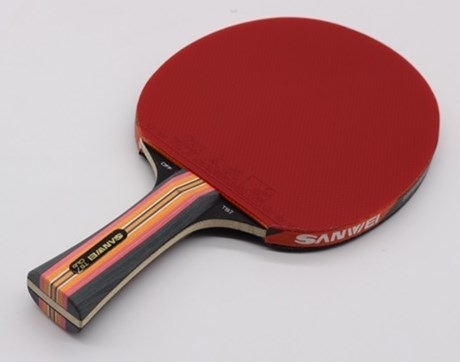 Highly recommended premium table tennis bat. Very spiny Chinese semi tacky rubbers. Black rubber - slightly slower for b/hand control. 5 ply blade made of Black Ayous Outer surface, spruce inner layers and Ayous Core. When you purchase any of our bat worth over £50 we're giving away a free bat case!